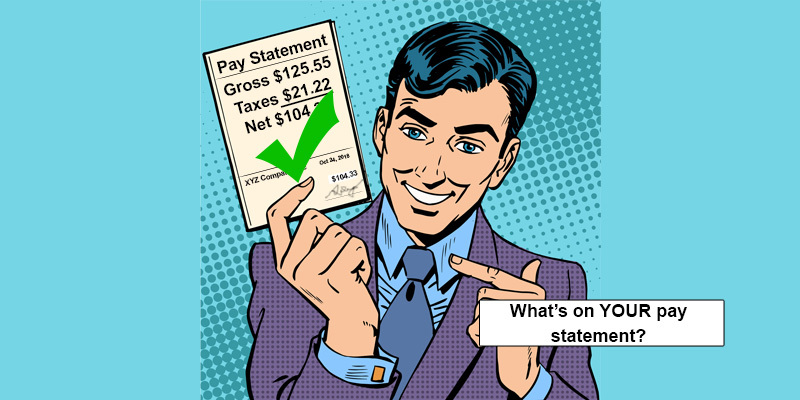 I have previously written about how to pay, when to pay, and even the method to pay employees, so now let’s look at what needs to be provided to an employee with their check (their pay stub). Similar to my last article about when a final check is due to a separated employee, there is no Federal law which means the power to dictate is in the hands of each state. This certainly can become confusing to a company who operates in multiple states, and the best practice here is to comply with the state that has the most requirements. We will jump right in with a look at what each state requires to be printed on the pay stub. The following states do not have any laws. Does that mean you can just hand the employee a net check with no other documentation? Yes, but you may find yourself answering more questions from the employee who are trying to determine if their pay is correct. I would at least provide a breakdown of the gross to net amounts to avoid any confusion and additional burden on the payroll department. The following states all have specific laws. While I make every attempt to ensure the accuracy and reliability of the information provided in this article, the information is provided “as-is” without warranty of any kind. PayMaster, Inc or Romeo Chicco does not accept any responsibility or liability for the accuracy, content, completeness, legality, or reliability of the information contained. Consult with your CPA, Attorney, and/or HR Professional as federal, state, and local laws change frequently.